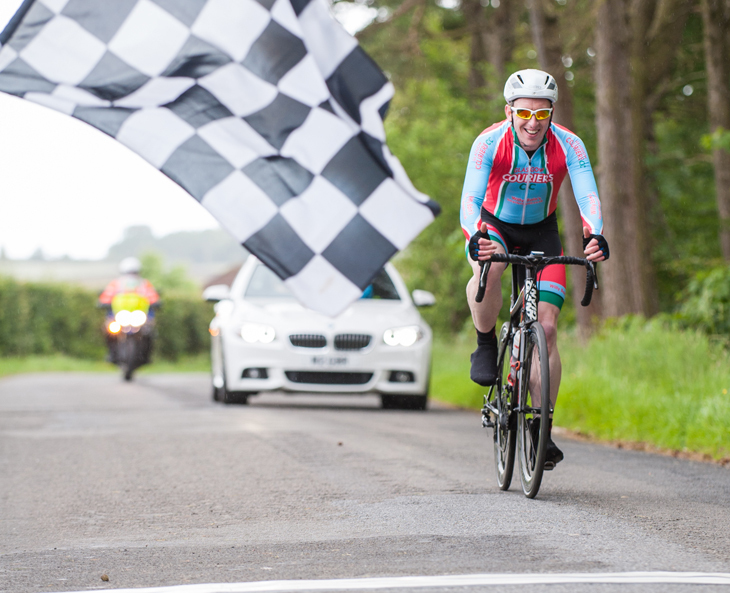 On a day which saw sun, rain, and lots of wind, Gregg O’Malley of Glasgow Couriers sealed an impressive solo victory in Saturdays Battle of Black Loch Road Race, hosted by West Lothian Clarion Cycling Club. Wind speed on the day often gusted to around 40mph, providing challenging riding conditions, however Gregg made a solo break on the 1st lap of the 5-lap race, and was able to stay ahead of the nearest chasing riders for the remainder of the race. Gregg extended his lead up to 1 minute at times, however finally finished the race in a time of 1:52:04, 36 seconds ahead of 2nd place rider Tom Merry (Edinburgh University CC), whilst Shaun Inglis (Hawick CC) finished in 3rd a further 2 seconds behind.